A hilarious, heart-warming read about normal women who decide to ditch the weighing scales and love themselves just the way they are. 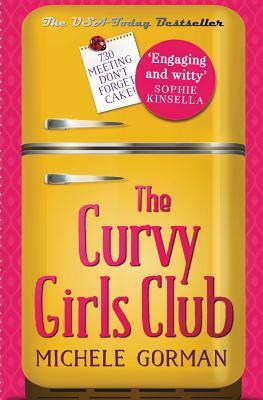 In this funny, heart-warming read about normal women learning to love themselves, the curvy girls soon realise that no matter what life throws at them, together, anything is possible . . . Loved this book and my best read in ages. I was literally hooked from the first page so be warned this is a book which pulls you in and won't let you put it down until finished. Pulling quiet a few punches and some surprises this is a humorous and delightful read with body image and friendship as the underlying theme. How we see ourselves, react to and are treated by those around us. Brilliant with a good dose of humour what I like most about this book is that it is so smoothly written with a great story to boot. The people in this book feel so real they almost jump off of the pages. This was my first read by Michele Gorman, but I will be looking out for more by this author. Highly recommended reading for all women everywhere and perfect for fans of Sophie Kinsella and Bridesmaids. Annabel & Alice: "The Curvy Girls Club told a story that needed telling, and that I appreciated hearing...."